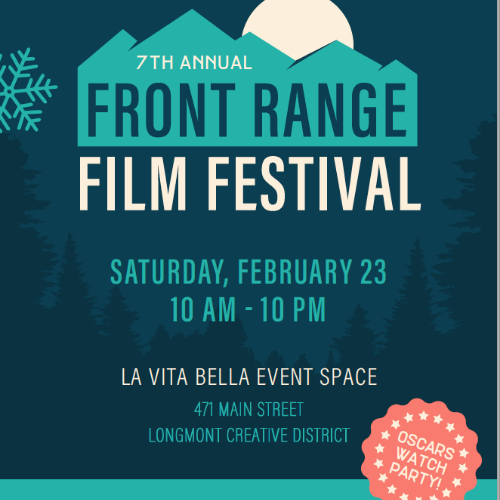 ​The 7th Annual Front Range Film Festival features Colorado Craft Cinema with a focus on Colorado filmmakers and locations as well as a collection of international short films. Experience Colorado, the West and the World! Explore current events and issues, experience the rush of extreme outdoor adventures and travel to the far reaches of the globe. Join us on Sunday for an Oscar Watch Party! World perspectives through international shorts and relevant current events through an American lens. Life is full of challenges and some are handled better than others. 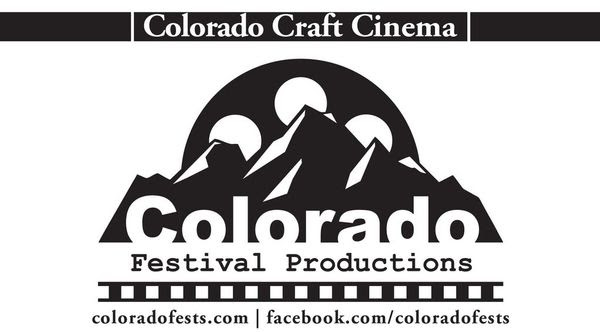 Colorado locations and local filmmakers providing interesting stories and adventures. A broad look at our environment from multiple points of view. Featuring the compelling film "Once Is Enough." A standup comedian faces his issues with determination in a funny and emotionally touching examination. Join us on Sunday at 6pm for our Oscar Watch Party! 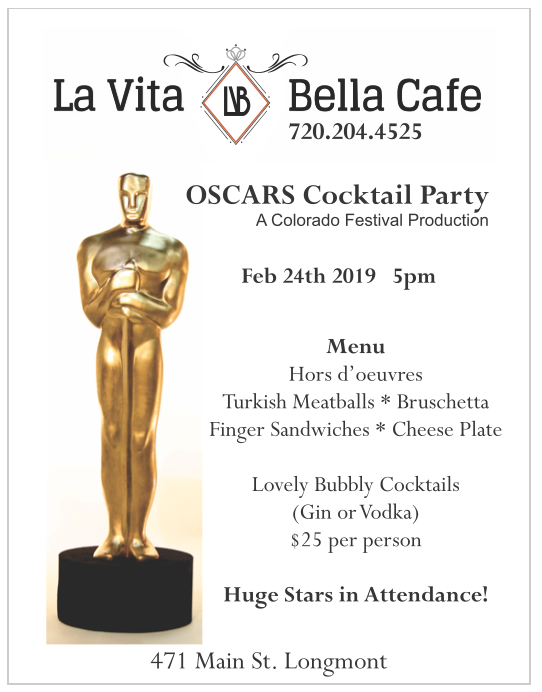 $25 for Oscar worthy cocktails and food! 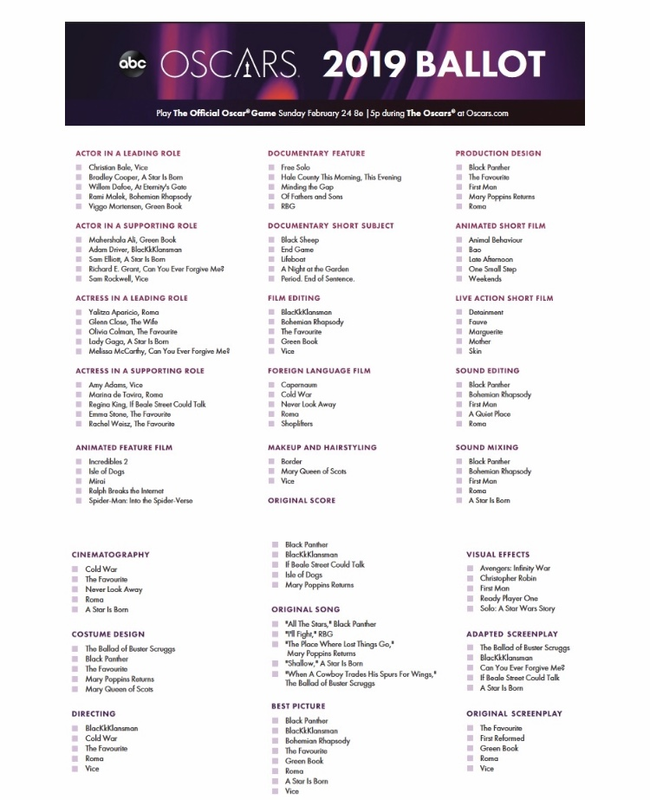 Celebrate some of Hollywood's best movies of the year and the artists who made them. The evening includes paparazzi, red carpet, mini Oscar statues, fancy cocktails and beautiful food while we enjoy a live stream of the show. Dress up in your finest and come enjoy this gala event!